PE at St Matthew's aims to engage all children, regardless of ability, to be inclusive within a comprehensive sports and activities programme. We strive to provide a range and wealth of opportunities, in and outside of school, that cater to all abilities and interests, whether that be Full Contact Rugby League, Cheerleading, or even Fencing! We work with a range of partners to enable us to do this, including Fit2Play sports coaching, local clubs, such as Wigan Athletic and specialist teachers from our feeder High Schools. With a growing emphasis on Health and Wellbeing in our primary schools, St Matthew's are already ahead of the game; selected children are offered short courses in Fitness and Nutrition, we run regular programmes and activities for our SEND children and run "Nurture through Sport" sessions for children who need a little extra support. If you are a local club who would like to link up with school, please contact Mrs. Higgins - we'd love to hear from you. On Monday 4th February, our wonderful Sporthall Athletics team took part in the Wigan West competition at the Dean's Trust, Wigan. We enjoyed great success in all the disciplines, met new friends and had great fun. A special mention to Tanatswa, George and Archie, who received metal pin badges for coming 1st overall in their events. Out of a total of 21 schools that took part, Highfield St. Matthew's came a fantastic 5th overall. See some of our photos from the day below. Well done team!!! We've been really privileged to be working closely with Lancashire Cricket Club this year, and our Year ones have just embarked on a 6 week course. They have had a great time and have learned lots of new and exciting Cricket skills. Rory, our coach, will also be starting an after-school club with our Year ones. This week, Dale from Judo Education gave an assembly, telling children all about the sport of Judo. He explained to us the history of the sport and shared some of the techniques he has learned. Of course, we had to join in and have fun too. The children had a great time trying out the Sport. Dale will be back in the near future delivering a course on Judo for our KS2 children. He'll even be back later in the year or our KS1. Look out for the letter. Our Fencing club runs this year from October to November. The club is open to all KS2 children and has once again been a great success. See below for pictures of some of the great work our children have put in, the skills they have learned and of course, the great fun they've had. En garde! It is September and the ancient sport of Archery has come to Highfield! All of KS2 held their breath as Matt, the archery instructor, showed off his skills and told us all about the history of the sport. 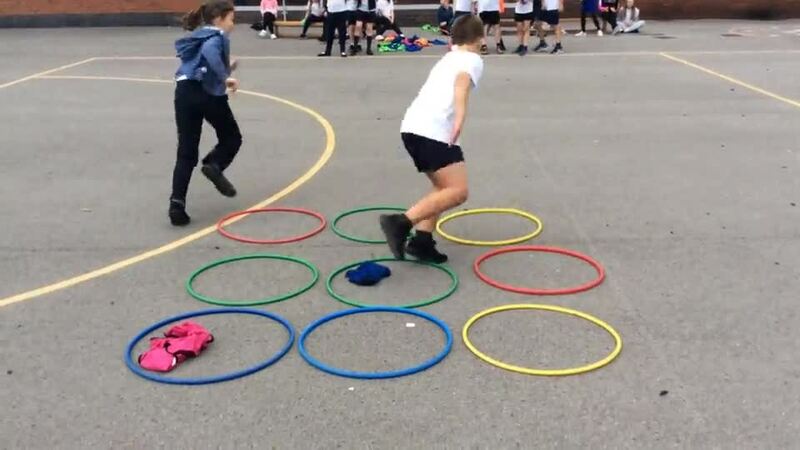 Competition between schools, plays a large part of PE at St Matthew's, and we can be regularly seen out and about competing in events around the borough.